Germany Hill's Joe McAvoy, left, and Felix Fitzsimmons perform in concert. Don McAvoy & The Great Whatever and Germany Hill, a pair of local, original bands with a familial connection, will team up for an all-ages show at World Cafe Live Philadelphia – Upstairs on Saturday, July 29. 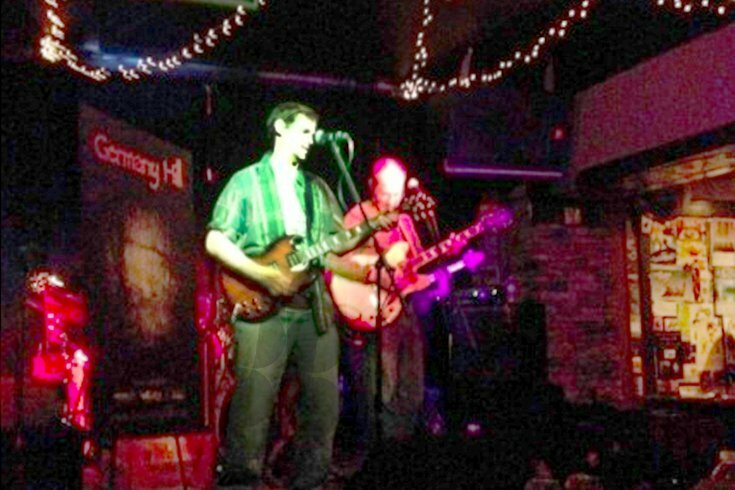 Germany Hill, named for a tract of open space between Roxborough and Manayunk, is led by guitarists Joe McAvoy and Felix Fitzsimmons. They will take the stage at 7:30 p.m. At 9 p.m., (brother) Don McAvoy and the Great Whatever will perform original compositions including from its 2016 CD, "There's Time Between the Bridge and the Water." Tickets can be purchased through World Cafe Live or at the door.